CROSSVILLE, Tenn. (March 23, 2015) – Jamestown Gas & Water recently won the Best Tasting Water competition in Region 4. The Tennessee Association of Utility Districts (TAUD) held the competition at the Convention and Events Center of the Cumberlands on Wednesday, March 18. The drinking water samples were judged on their clarity, bouquet, and taste. TAUD’s Region 4 consists of Clay, Cumberland, DeKalb, Fentress, Jackson, Macon, Overton, Pickett, Putnam, Roane, Smith, Trousdale, Warren and White counties. 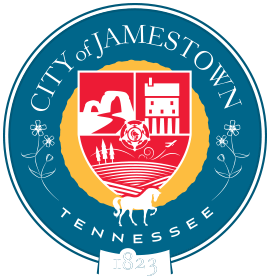 In addition to Jamestown Gas & Water, the other utilities from Region 4 submitting drinking water samples for the competition were Bondecroft Utility District, Byrdstown Water Department, Crab Orchard Utility District, the City of Crossville, McMinnville Utilities, Warren County Utility District and West Warren-Viola Utility District. Serving as judges for the competition were Chris Hampton, Rural Development; David Phillips, TDEC; Craig Ingram, TN811; and Seth Rye, Rye Engineering.